The BMW M6 is a high performance coupe or convertible made by the Motorsport division of BMW. The M6 is an upgraded version of BMW's 6 Series and is currently in its third generation of production. This is a really nice luxury car that is not too ridiculously priced. Here is a closer look at this Amazing Car Of The Day: The BMW M6. The first generation, or E24, was made from 1983 to 1989 and was a two door coupe. It featured a 3.5 liter BMW M88 I6 engine and a five speed manual transmission. The initial M6 had a top speed of 158 miles per hour and could go from 0 to 60 mph in 6.8 seconds. The M6 was listed as one of the 10 fastest cars in America by Road and Track magazine, back in 1987. A limited production of this model meant that fewer than 6,000 cars were sold. The second generation, or E63 and E64, was made from 2005 to 2010 in Germany and was available as a two door coupe or two door convertible. It featured a 5.0 liter BMW S85 odd firing V10 engine with a six speed manual or seven speed single clutch SMG transmission. The second generation M6 had a top speed of 155 mph and could go from 0 to 60 mph in 4.4 seconds. In 2010, the M6 was the second most expensive model sold by BMW in the United States, with an MSRP of over $108,000. A limited production of just over 9,000 coupes and 5,000 convertibles were sold. The third and current generation, or F12 and F13, started production in Germany in 2012 and is available as a two door convertible, 2 door coupe, or 4 door gran coupe. It features a 4.4 liter BMW S63 V8 engine with a six speed manual or seven speed M-DCT transmission. The current generation M6 has a top speed of 155 mph and can go from 0 to 62 mph in 4.2 seconds. 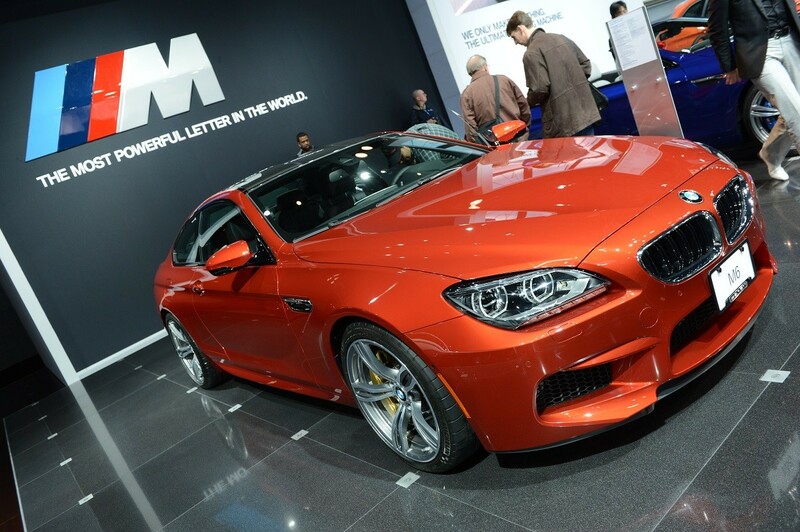 The 2015 BMW M6 is offered as a coupe and convertible. It features a 4.4 liter twin turbocharged V8 engine with 560 horsepower. The newest M6 offers a six speed manual or seven speed dual clutch transmission and has a top speed of 155 mph with a 0 to 60 mph time of 4.0 seconds. This luxury vehicle gets an EPA estimated 14 miles per gallon in the city and 20 mpg on the highway. Although most of the body is the same as the previous M6, the new version offers full LED illumination headlights. As part of the infotainment system, the M6 can feature a lap timer application and a GoPro video camera. The 2015 M6 has an MSRP of $112,895. Celebrities who own a BMW M6 include the models and television personalities Heidi Klum and Tila Tequila. If those owners are any indication, the M6 is one hot car! MW's new M4 GTS may not run on water, but it does utilize water injection technology. BMW Showoff Vs. Side Of Mountain. Who You Got? Today's Amazing Car Of The Day is the BMW i8 which is driven by athletes, rappers, and police departments. Parking Boot On My BMW SUV? Aint Nobody Got Time For That! Wait till you see how this woman in Houston deals with her BMW SUV getting a parking boot.